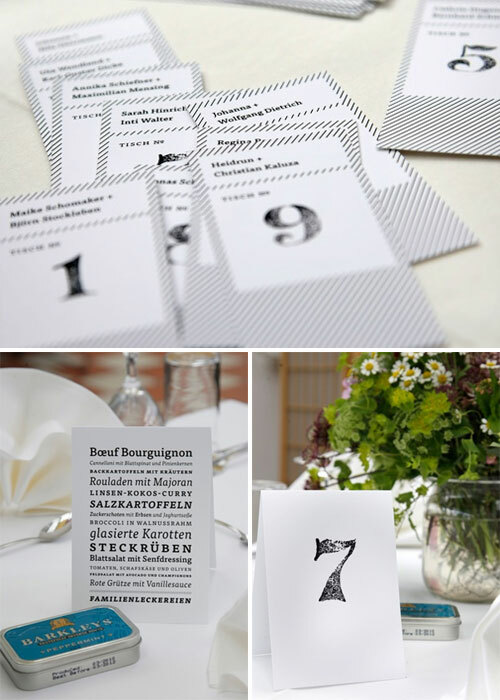 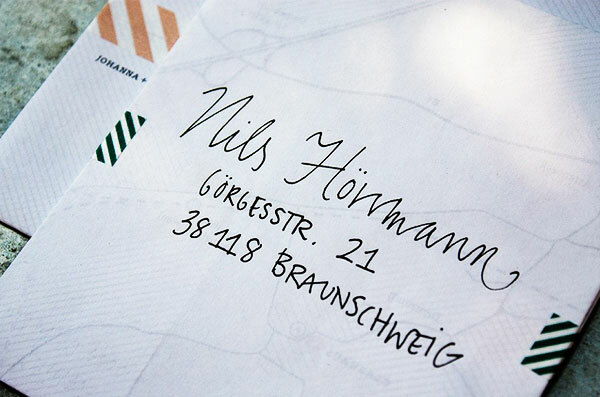 The loveliness of these chic, modern wedding invitations transcends language barriers, and they were a true labor of love for designer (and bride), Johanna Hörrmann, who created the black and white typographic wedding suite for her own wedding celebration. 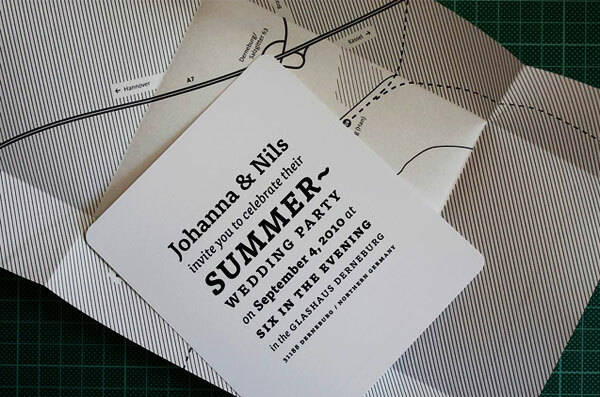 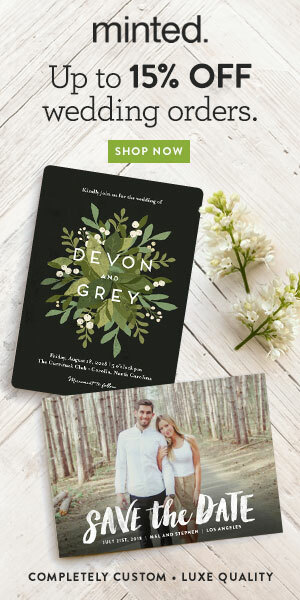 Johanna designed a custom wedding map that doubled as an envelope (clever! 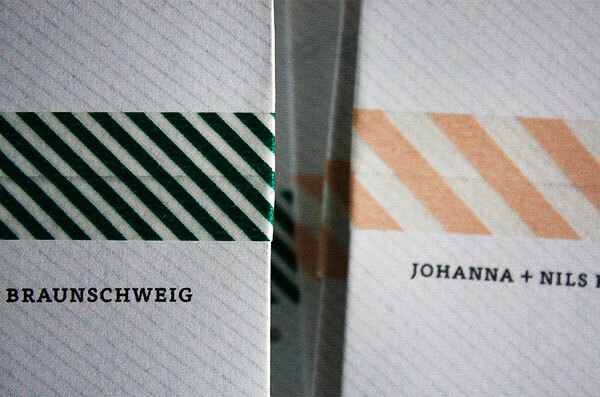 ), and I love how she added pops of color here and there by using diagonally striped Japanese tape. 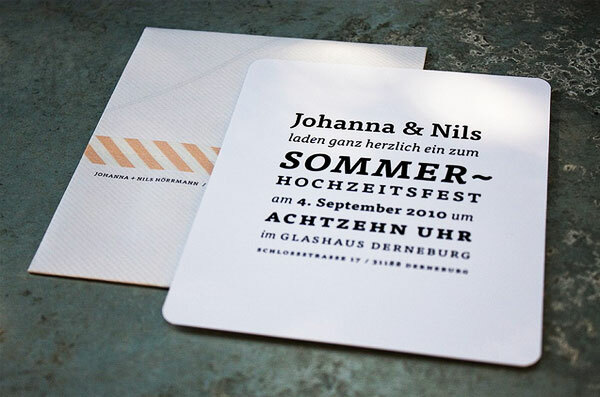 You can read more about Johanna’s creative process for this project, supply list included, over at her blog, Im Moment, but before you go, check out some of the lovely coordinating paper details, photographed by Sandra Schade.